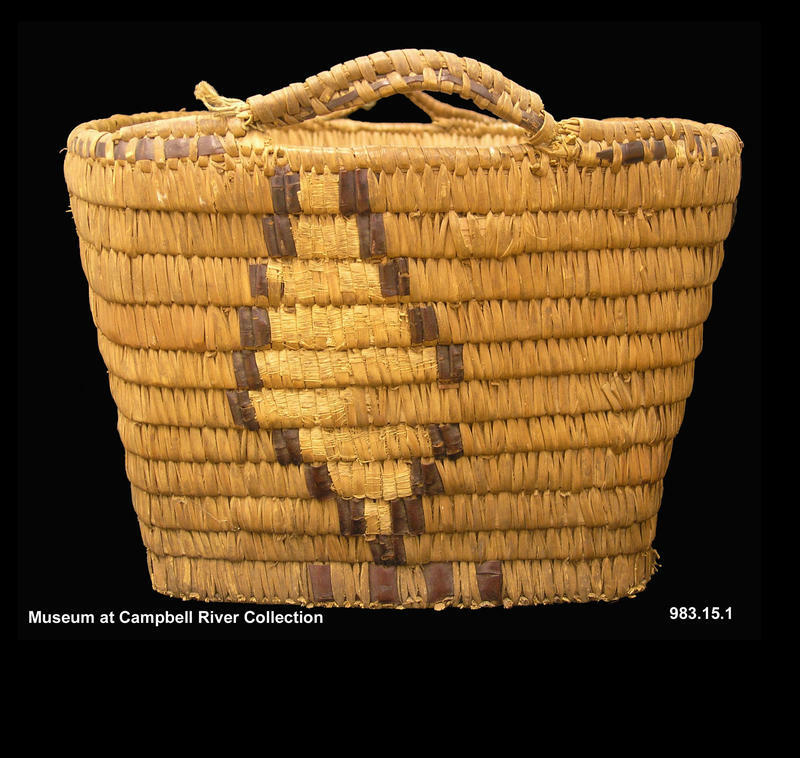 This basket was made by the owner's mother (Elizabeth Wilson - nee McGee) in about 1910. Elizabeth Wilson was originally from Squirrel Cove but she spent most of her life in Church House. 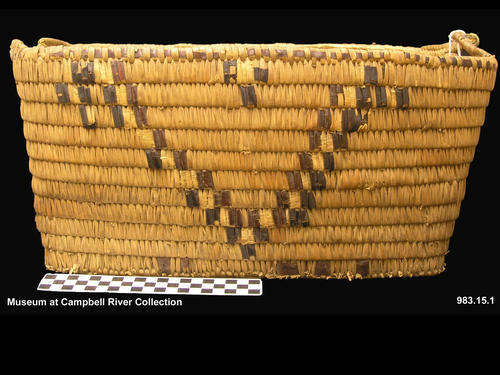 This basket was used for storing clothes. 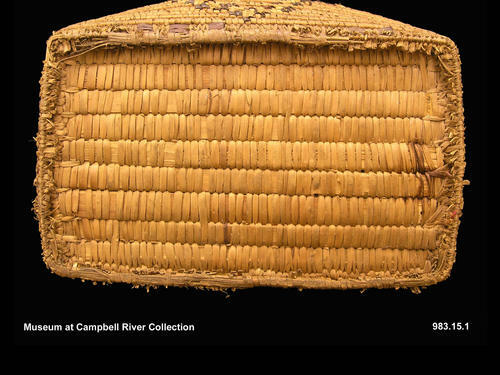 One Northern Coast Salish slat coil cedar basket. 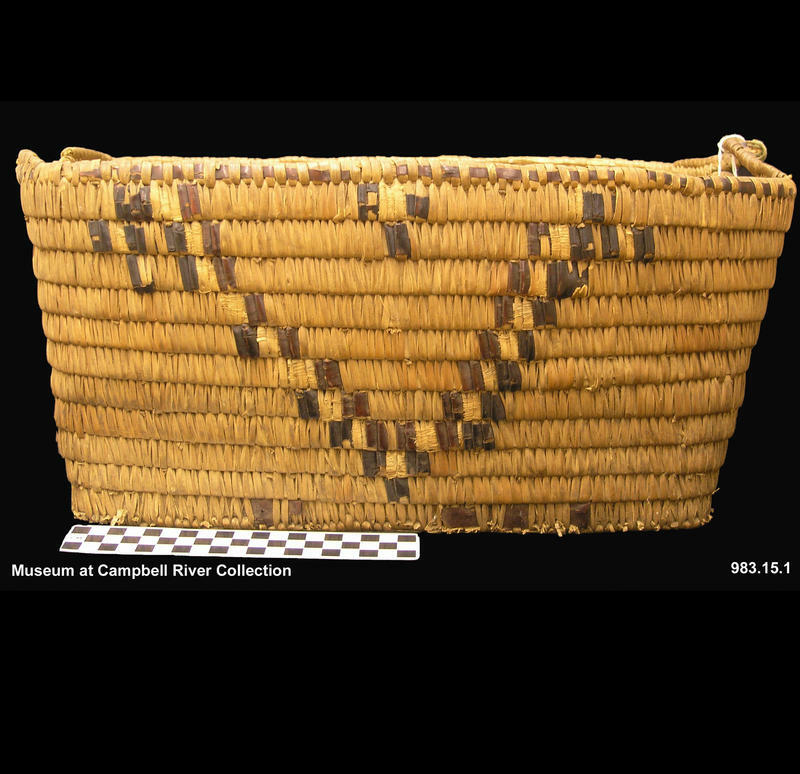 Basket has rectangular base with oval mouth. Handles at ends (one is broken and other is hanging from length of green twine core). Imbricated design. Base is 9 slats wide with each slat wrapped with strips of cedar root. Walls are 11 slats high. Top edge is finished with bundle coil. 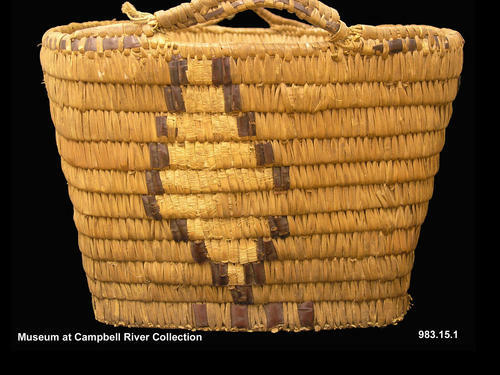 Design includes a large diamond shape on each end of the basket done in corn husk surrounded by a border of cherry bark. Imbrication technique. 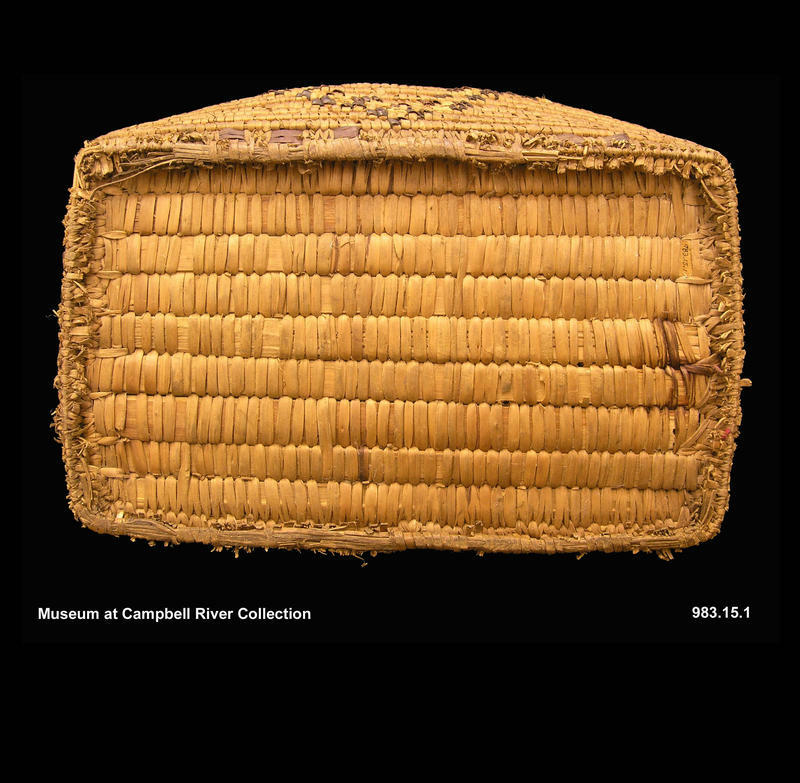 Four beaded stitches of red cherry bark on bottom row below the diamond. Design on sides includes a v shape on each side with additional centre and top motifs at side of V.